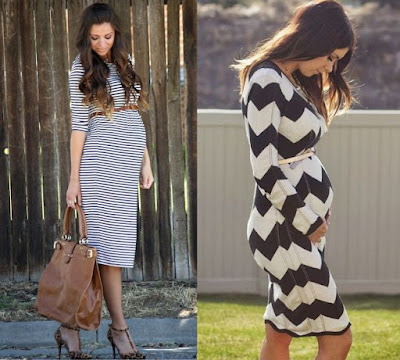 TIPS KECE: Traveling When Pregnant? Is it Possible? Travelling while you are pregnant, maybe could be complicated, but don't worry it was possible. These tips early was extremely important. Consult and discuss with your obstetrician about vacation plans. What activities should be avoided or what activities are permissible. Also ask if the certificate will be traveling by plane to smooth the current administration will take off. For pregnant women, the condition is different from the usual conditions of a healthy woman. There is a baby that should not be overlooked condition. Make sure we take vitamins and supplements are recommended by doctors. Consult a doctor if you want to consume any other supplement. As much as possible all the supplements are consumed on the recommendation of a doctor. Also note the rules supplement consumption. Example drink milk daily as a routine. Drinking 1x per day of folic acid. Pregnant women were awry. Intermittently hungry, intermittent nausea. But still, the baby needs food intake. The consumption of healthy snacks is also recommended by doctors, small portions but frequently to avoid nausea and even vomiting. Get used to always bring a small pillow to prop your back / hip. For a rather long journey spent sitting, these tips just make the back not too tired. If possible, also bring other small pillow to cuddle while seated. Pregnant women sometimes feel tired. Do not push for full follow all activity when the body sends signals to the body sustains a break for 2 people, the mother and the baby. Pregnant women should also not selfish, think about your baby. When the body receives plenty of fluid intake, output is definitely there. This resulted in pregnant women more often want to pee because the larger the fetus is getting suppress bladder. Keep mineral water consumption as much as possible to keep the amniotic fluid enough to keep the baby. If possible, keep going to the toilet to pee when the body sends a signal need to pee. Look after the cleanliness of the toilets, of course we do not want to actually create new problems in the area of ​​femininity. As much as possible pregnant women should not be disturbed in their area of femininity with health problems. Pregnant women want to vacation? Yes, you should. But do not stress, please. Pregnant women should always be happy and happy that the fetus also feels happy. Useless if our holiday only bringing stress for pregnant women and fetuses. If there are things that become a burden, forget for a moment or for the lead with a trusted person to be able to look for solutions. So, ready for holidays or babymoon maybe?